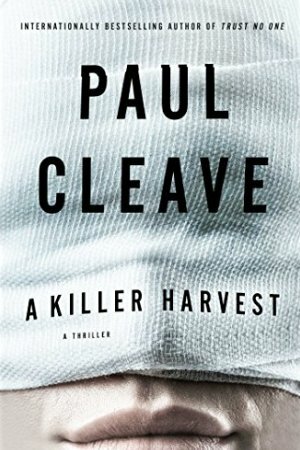 New Zealand readers won't have to wait long for the latest thriller from our most successful modern crime writer, as Upstart Press announces it will publish Paul Cleave's ninth novel, A Killer Harvest, in August. Joshua is handed an opportunity he can't refuse: an operation that will allow him to see the world through his father’s eyes. As Joshua navigates a world of sight, he gets glimpses of what these eyes might have witnessed in their previous life. What exactly was his dad up to in his role as a police officer? Paul Cleave has won the Ngaio Marsh Award for Best Crime Novel a record three times, including the 2016 prize for his standalone thriller Trust No One. He has also won the Saint-Maur book festival’s crime novel of the year award in France, and has been shortlisted the Ned Kelly Award in Australia, and the Barry and Edgar Awards in the United States. His works have been bestsellers that been translated into over a dozen languages and have sold over a million copies. 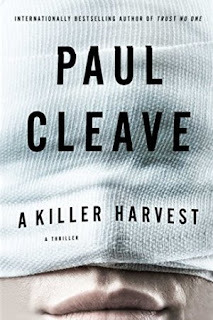 I recently read an advance copy of A Killer Harvest, which will also be published by New York publisher Atria Books in the United States in August, and it is terrific. A brilliant, dark read. I'll publish a full review soon, but in the meantime you can see quotes from some advance reviews in the United States below.